Head of IncInc. 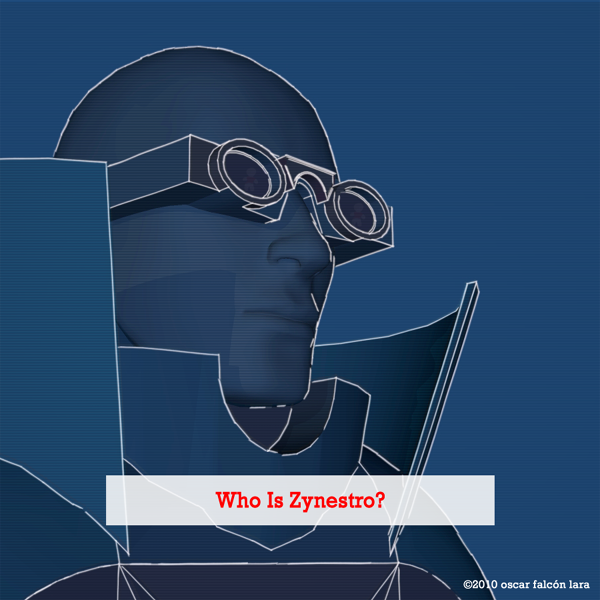 and mastermind of almost every operation, Zynestro is regarded as an obscure figure, a brilliant if twisted brain, a ghost, spirit of The Corporation Labs, principal stock holder of The Lerners, ex-military and several other credentials. For the past few years, rumors of his retirement sent waves through the ranks, looking for his successor; He made his company strike deals with former enemies and compromise on behalf of various outlets including television, cable news, Red Cross international, aid workers, rescue missions, adoption agencies, private universities, trust fund managers and the Chinese education board.